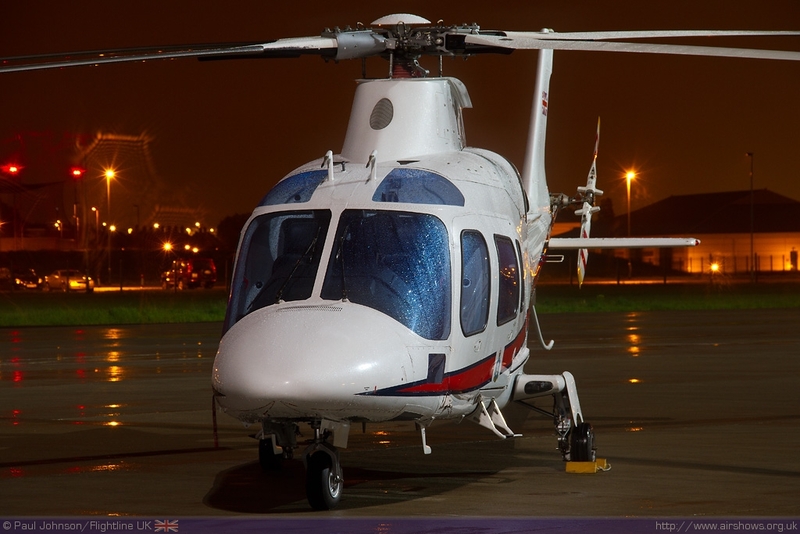 The UK Military is an integral part of security plans for the 2012 Olympic and Paralympic Games in London later in the summer. 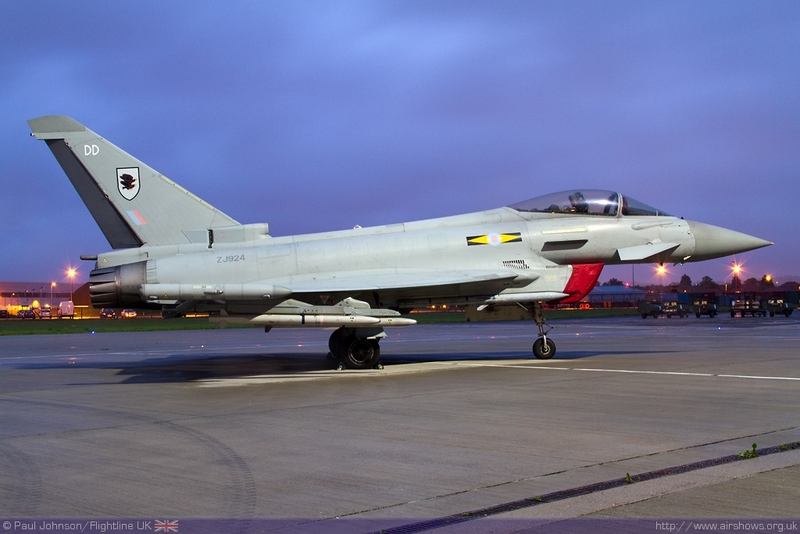 The Royal Air Force will be part of the airspace security using many of its assets. 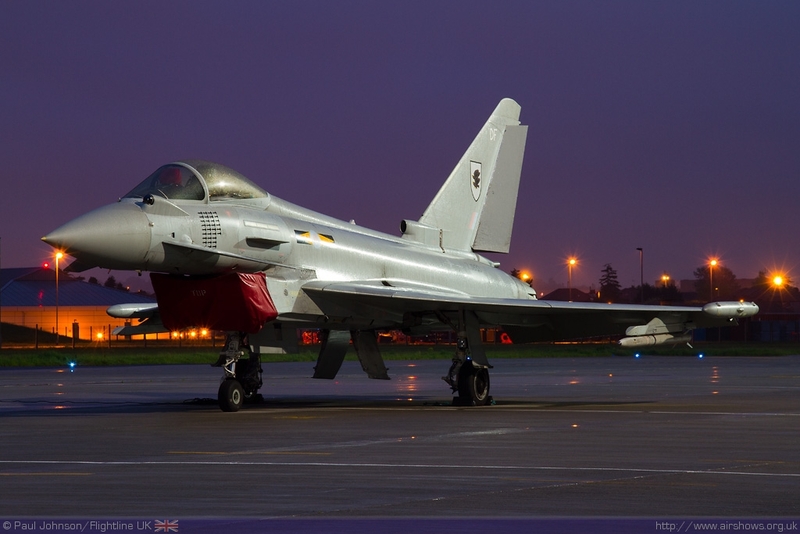 Perhaps the most high profile part of the plans will be the basing of RAF Typhoon fighters at RAF Northolt in West London. 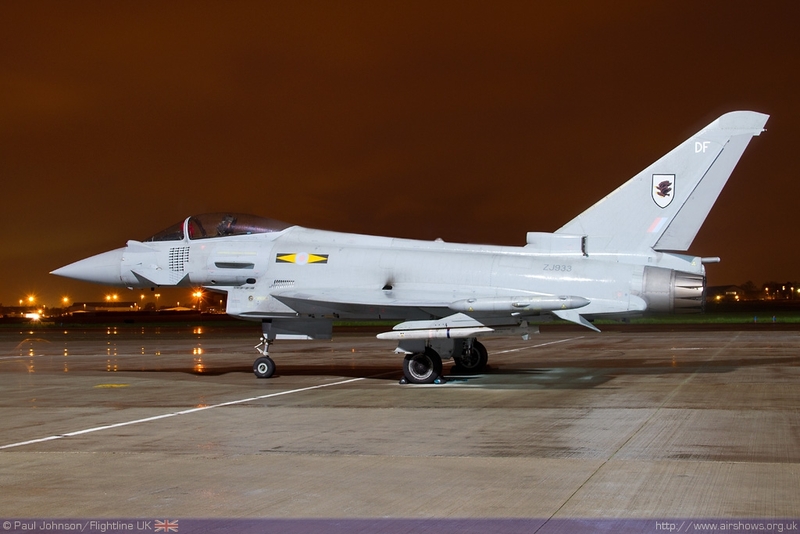 As part of exercises in preparation for the Games, several Typhoons were based at Northolt in early May. 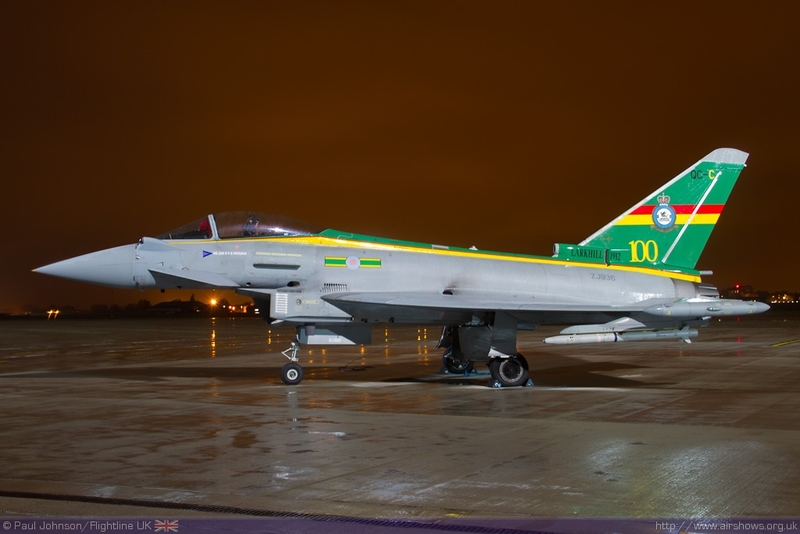 Thanks to the personnel of both the Typhoon force and RAF Northolt, Nightshoot supremo Phil Dawe was able to offer enthusiasts to photograph some of RAF’s premier fighter aircraft after dark! 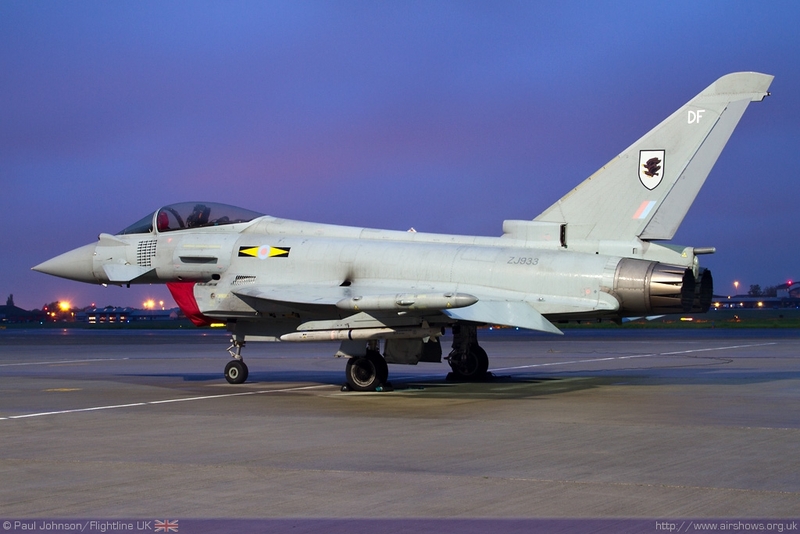 The arrival of RAF Typhoons at Northolt for Exercise Olympic Guardian was headline news in the popular media. 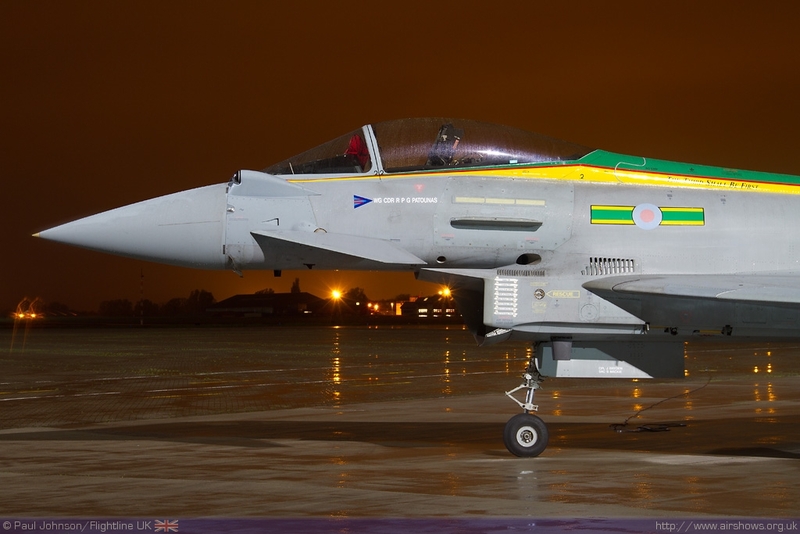 Not only is it a very visible show of intent to any potential terrorists planning to attack London 2012, but it is also very historic event as it is the first time front line RAF fighters have been based at the famous Battle of Britain fighter station for some time. 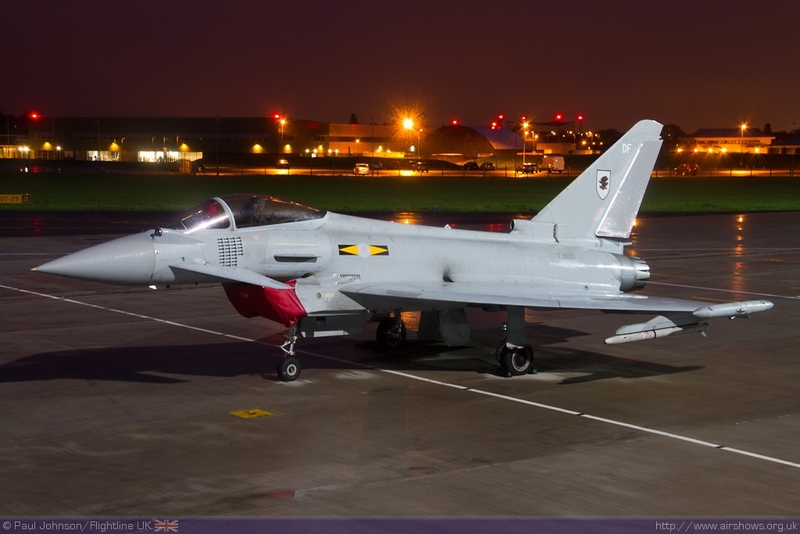 Such a high profile deployment of the Typhoon meant Northolt became much busier than normal. 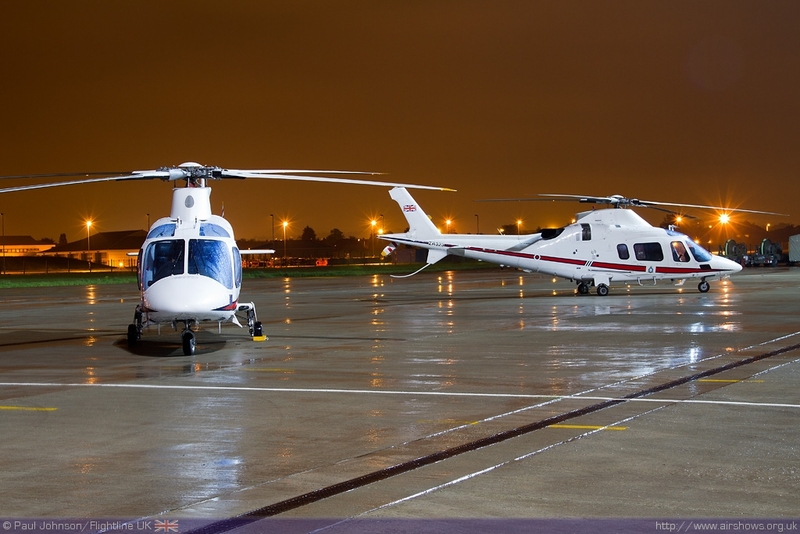 Not only did extra equipment and temporary hangars have to be brought into Northolt, but added security was also noticeable with extra sniffer dogs amongst other added measures. 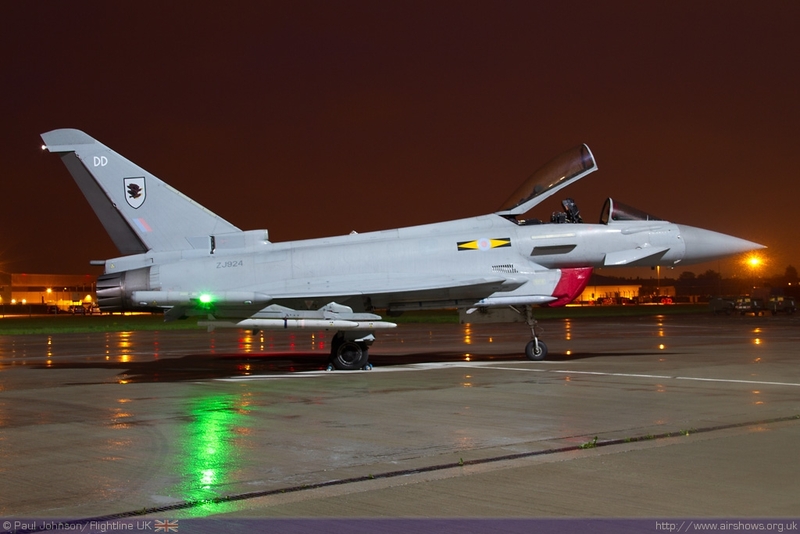 Northolt ‘Nightshoots’ are always very popular events, but the chance to see and photograph Typhoons under the 32 Squadron lights was always going to attract more people than usual. In the end bookings totalled well over 200 and credit must go to Phil Dawe, not only for his amazing ability to organise such good events, but also coping with such a deluge of emails in such a short time! 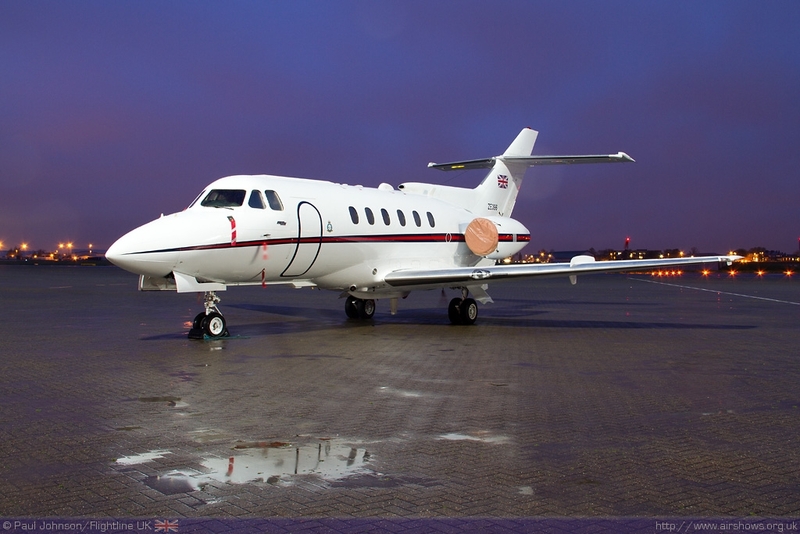 With any aviation event, there is always a fair degree of obsession with the weather! The prospects for the nightshoot did look grim through the day of the event with persistent rain lashing London. Thankfully it abated for most of the actual event though as darkness closed in it did pick up again! However it did mean there were some dramatic wet canopies and reflections on the ground! As ever there were a couple of last minute cancellations with the low cloud and poor visibility beating the Army Air Corps Gazelle AH1 once again – there’s always next time! 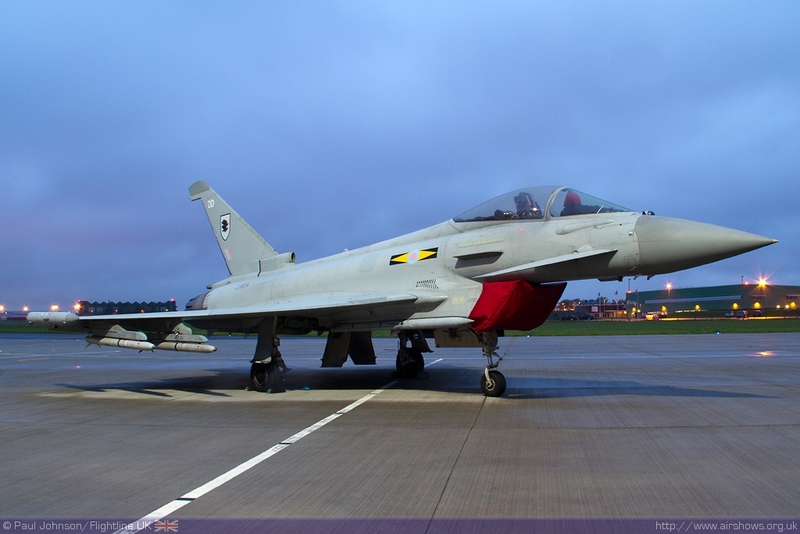 However, there’s always the odd surprise and it came in the form of an extra Typhoon FGR4 on show loaded with its standard ‘QRA’ payload. 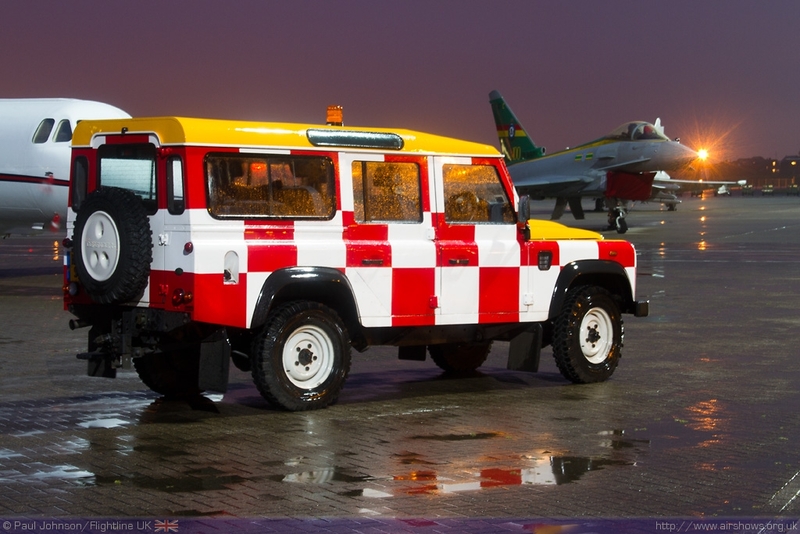 The participants were not just limited to the aircraft, but also some of the equipment used to support the fighters with one of the Land Rovers from RAF Wittering used to support cable operations at either end of Northolt’s runway while the fighters were stationed there. 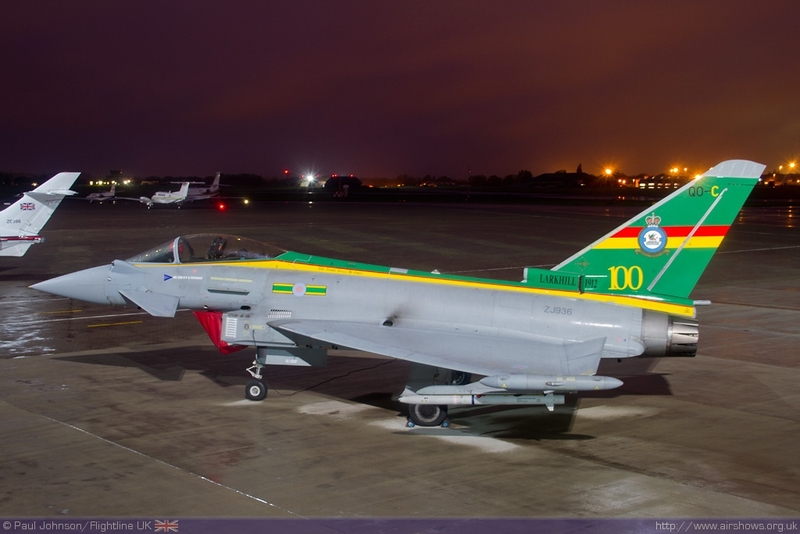 The star of the evening however was 3(F) Squadron’s 100th Anniversary marked Typhoon FGR4, the first Typhoon in the RAF to receive a proper ‘special scheme.’ As ever there were some air-stairs set up to allow for an elevated view of the aircraft and this was perfectly positions for the special Typhoon. 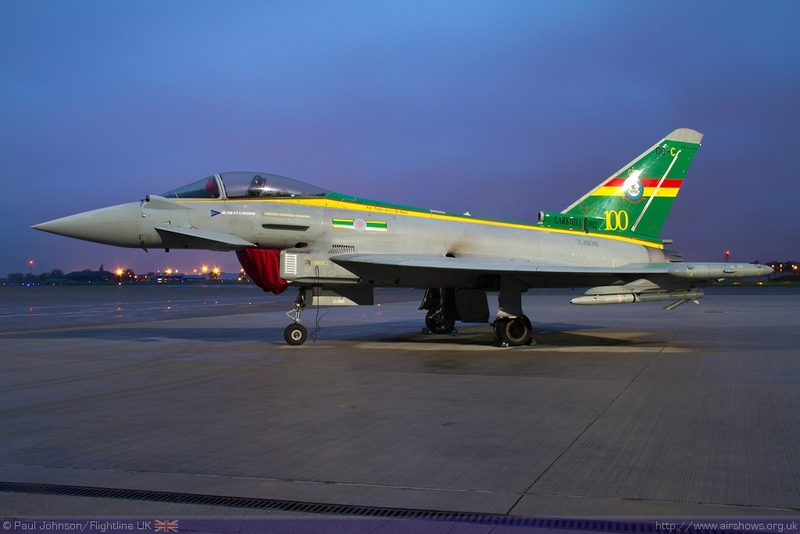 The third Typhoon in the photocall was one of the few RAF aircraft displaying its mission markings from Operation Ellemy last year – the enforcement of UN resolutions over Libya. 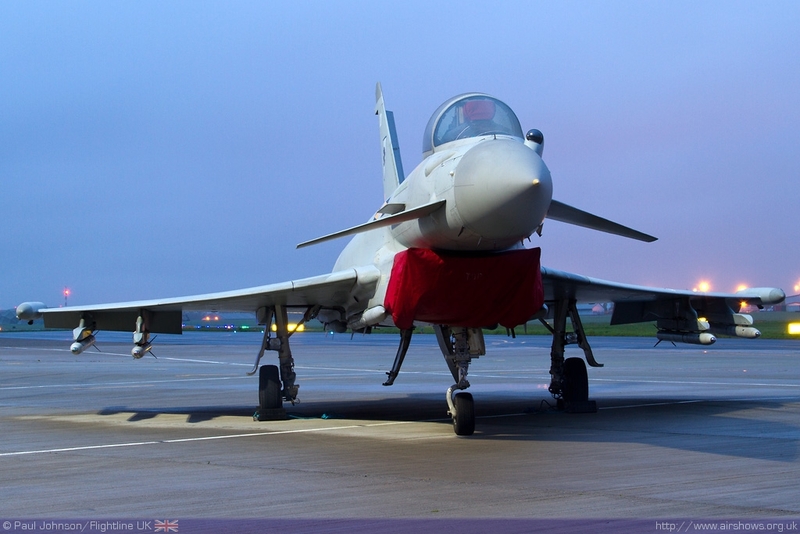 The Typhoons were poses with their engine covers off (though for some reason the RAF were very sensitive about head-on shots of the engine intakes) and with lights on and canopies open. 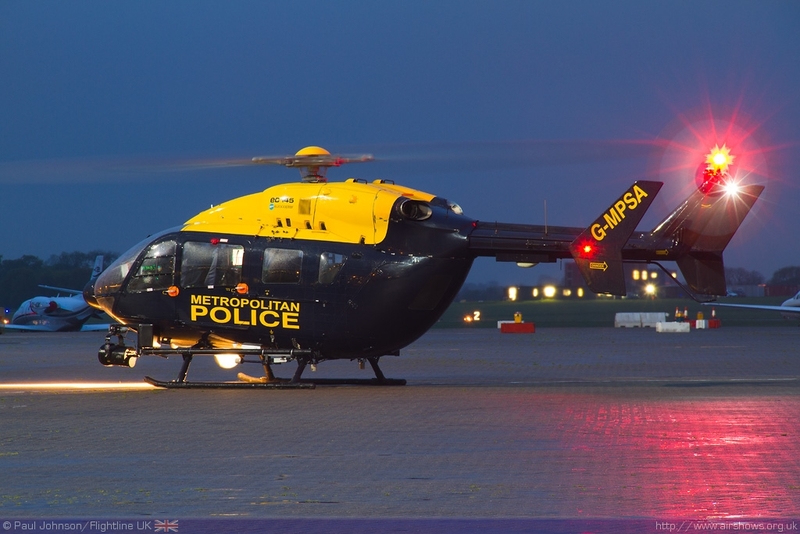 Joining the Typhoons was a small selection of two Agusta A109E Powers and a BAE 125 CC2 from 32 Squadron and a short visit by the Metropolitan Police’s Eurocopter EC145. 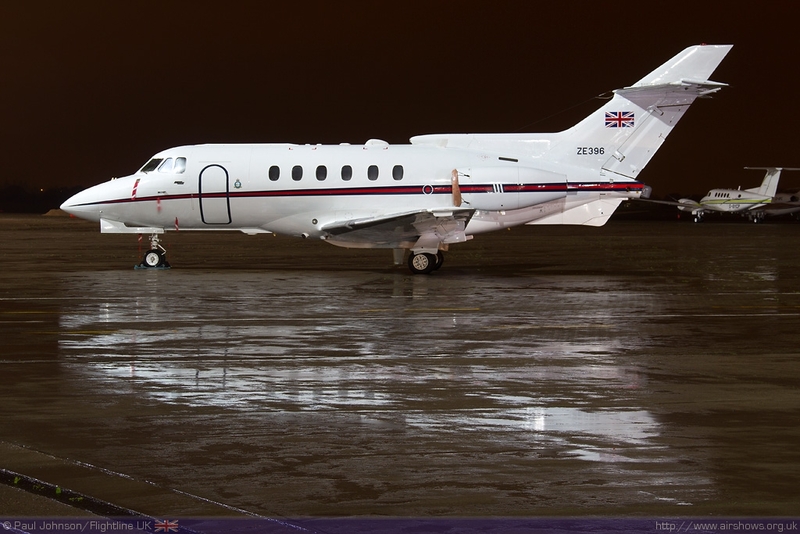 The latter provided the engine running of the evening before it departed in the damp conditions. 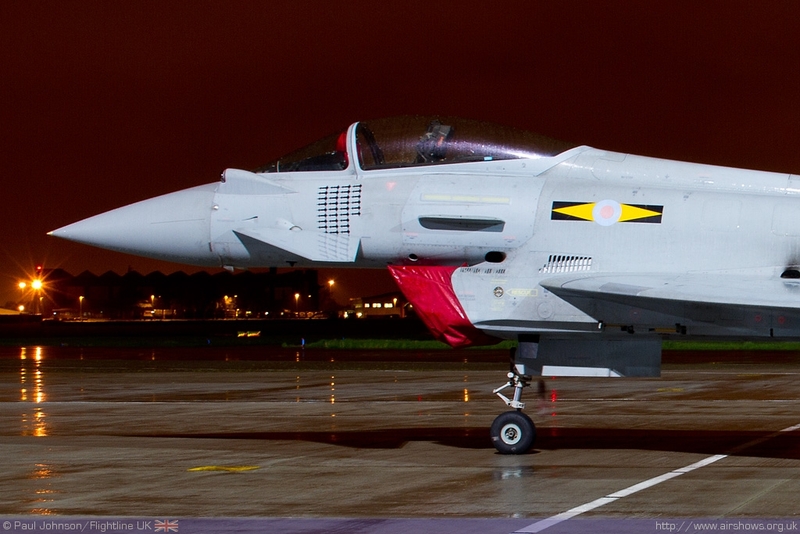 Phil Dawe and his volunteers must be congratulated for making such an opportunity happen for the enthusiast community. These events are always hugely appreciated for providing something a little different and with much better access that the larger scale public events. We look forward to the next nightshoot!